Last weekend (the May Bank Holiday) I was offered the chance to travel to Holyhead with Stena Line. Would you believe that I had never had the pleasure of taking any decent sized ferry to the UK before? Nevermind travelling Stena Line with a family! Friday morning we boarded the Stena Adventurer. The 4 year old wanted to know why we were going on an “Adventure Ship” so we got plenty of laughs out of that. He was fascinated by “driving into a tunnel” but not so enamoured with the lift. We are still working on that phobia but he is getting better thank goodness. As we had “Stena Plus” tickets we were first to board and disembark. There was loads of space for the kids to roam in the designated family area, which on our outbound journey was a real relief as there was a couple of busloads of very raucous schoolkids on board. Particularly when both of us are used to dealing with gangs of kids, it’s nice to just to have to focus on your own every now and again! Table service, no matter where we were sitting in the Plus area was excellent. Juggling a buggy, a 4 year old and a rotten sense of balance on a ship is not conducive to trays and self service. Mind you I barely noticed any swell on either crossing and it was relatively choppy on the return journey. There were endless cups of tea & coffee on tap, drinks and treats for the kids, magazines, newspapers, a Nintendo Wii (the 4 year old is actually standing in front of his Daddy in this picture, I swear). I know that food on ferries comes in for a lot of criticism but honestly this was the best food that we ate over the whole weekend. Himself was particularly taken with the freshly made Eton Mess (featured photo) that he enjoyed on the return trip. The fry/mixed grill was quite nice too, but I confess I’m not sold on having loads of thyme in a pork sausage, apart from that it was a good start to a day of travelling. 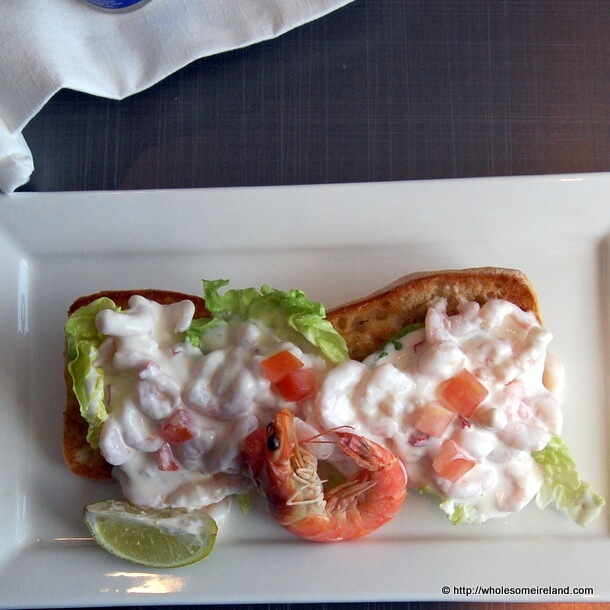 The open prawn sandwich with chilli and lime on the return was far nicer in my humble opinion. 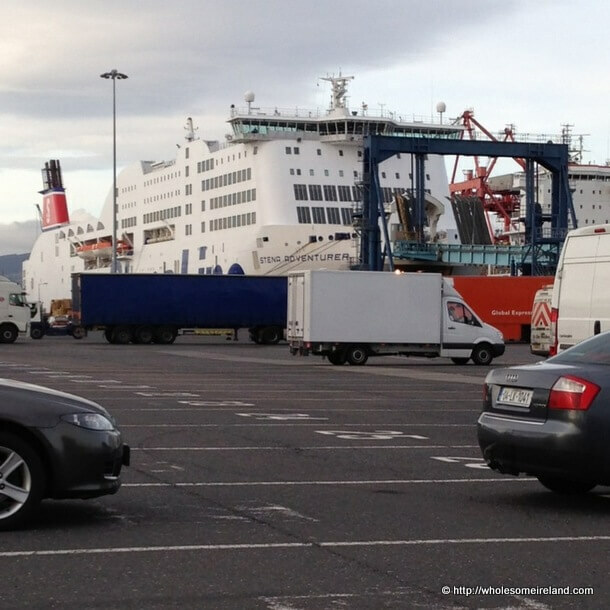 We used the Port Tunnel to get to and from Dublin Port which meant that we were home less than 35 minutes after disembarking on Monday evening. Well I say home but of course somebody had to go and check on the allotment. Travelling by Ferry is the way to go with small kids. We loved it. The kids were well entertained and we had loads of space to relax in comfort or stretch our legs if we wanted to. The cost is the real bonus. If, like me, you save your Tesco Clubcard points, a mere €20 (!) worth of points will get you €80 of Stena Line vouchers before you even book. Compared to travelling by air, it is very inexpensive for a family car with 1 child + 1 infant and if you elect not to go “Stena Plus” then a return trip it will cost you €412 without a discount. * That is not even the cheapest option as other sailing times are cheaper and there are also economies depending on your choice of ferry. If you’re a regular reader of this blog you’ll know how much I love a bargain. Compared to travelling by air, this is a serious bargain. The 4 year old gives this journey a smiley face. We’ll be travelling this way again sooner rather than later with the family. It is far less stressful than taking the plane. 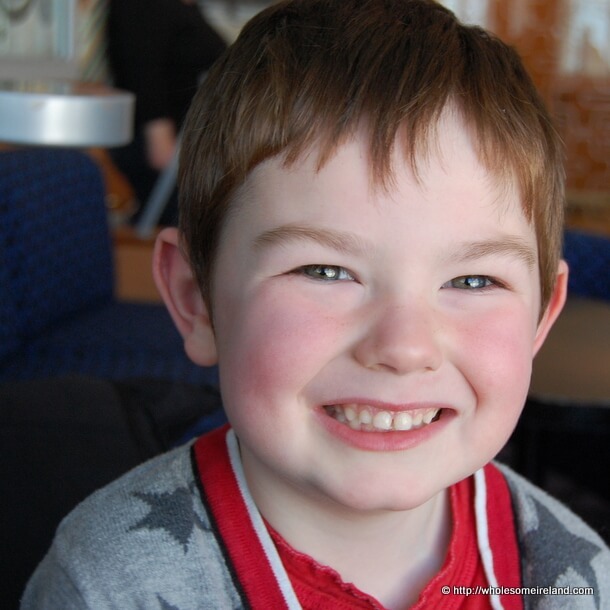 We will also be choosing to travel Stena Plus in the future as both of us felt it was a great help when travelling with children. There is an extra cost but I feel it would be worth it. Please note: Stena Line provided us with a return Stena Plus journey for the purposes of this review. My opinions however remain my own and I am not paid to give them. We travelled onwards from Holyhead to Hafan Y Mor Holiday Park and I’ll have a further review on how we got there tomorrow. In the meantime though if you are considering combining a ferry journey with a Haven holiday, here is a €100 discount for stays between the 31st of May and the 27th of June booked before 20th May 2013. *I priced the exact same sailings on Friday next (17th May) and returning on Monday (20th May) that we took. Prices do seem to vary according to high-demand days like bank holiday weekends and school holidays so don’t forget to shop around! They were fantastic Kate. I can’t speak highly enough of the experience. Even when we were travelling we were chatting to other families and there wasn’t one complaint. Technically you do need a passport or photographic identification and we brought them with us but were never asked for them. I hope that’s some help. Only found your blog recently. 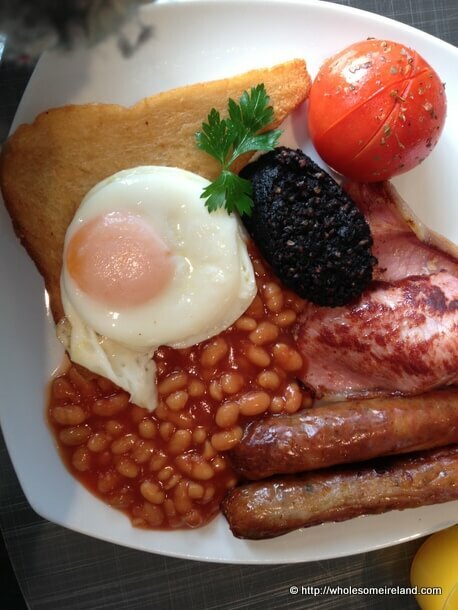 We went to hafan y mor last year and loved it. Short ferry trip and near the port. The kids loved it. Hi Marty, thanks for dropping by! The short trip by ferry and by road made it a great trip. Far easier than heading somewhere by plane I think anyway. Looks like you had a great time! We took the ferry from Holyhead to DunLaoghaire when the kids were 5 and 2.5 and it was great – though we weren’t in the fancy “Plus” area – lucky you. As I had done the journey many times in the past (since DL was handy to home for my family and we had UK cousins, it was a no-brainer and the idea of flying to London would not even be entertained), it was lovely to revisit it and see that the “mailboat” is still great fun and even more child-friendly than I remembered. Wow! Looks brilliant, delighted ye had such a nice time. 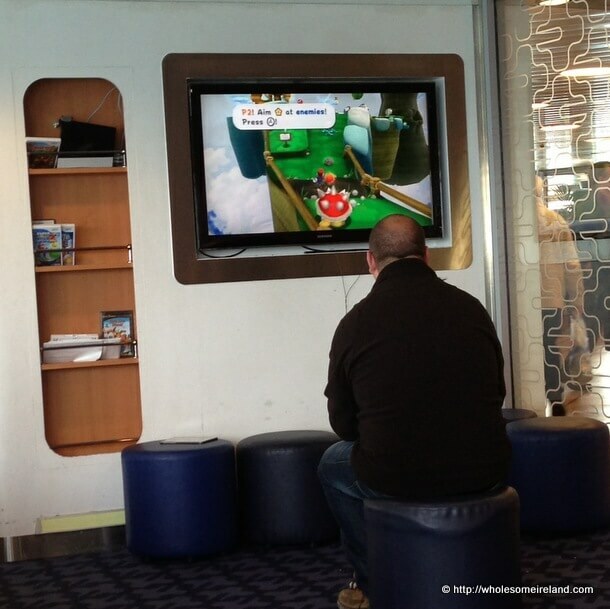 LOL at the photo of your beloved at the Wii! Honestly Joanna the 4yo was standing right in front of him! It definitely is April! I’d highly recommend it.